Editor’s Introduction: We are pleased to feature an article from guest writer Peter Rukavina. Many will know Peter from his very popular blog www.ruk.ca. He was also recently our guest along with his son Oliver and Oliver’s dog Ethan at the presentation, The History of Clow’s Store. You may not be as aware of his work with Yankee Publishing’s The Old Farmer’s Almanac. In Clyde River, the “Farmer’s Almanac” as we call it has shared an important place in our farming history and continues to across Prince Edward Island. Many times around a kitchen table as a child, I would hear farmers talking about what the Farmer’s Almanac was predicting in terms of weather for the coming season with almost as much reverence as to the gospel the minister had preached on the past Sunday. Inevitably, there would be some reference to the behaviour of animals in weather predictions. I thought there must be some very wise people living in New England, because other sources could not seem to achieve the same level of accuracy in their predictions or fully garner these farmers’ respect. I am pleased to find out that we have an Island contribution to this highly respected publication. Thank you, Peter, for sharing your story with us and for offering a glimpse into the history of this fine publication and the dedicated team behind it. On behalf of our community, our farmers and gardeners, we thank you all for your great work. I’ve spent every workday for the past 20 years deep inside the heart of a publication that was founded during George Washington’s first term as U.S. President. That publication is The Old Farmer’s Almanac, first published in 1792 and every single year since, without exception – making it North America’s oldest continuously published periodical. Since 1939 The Old Farmer’s Almanac has been owned by Yankee Publishing, based in the tiny village of Dublin, New Hampshire. While Dublin is, technically, my “workplace,” I do my work from a desk in downtown Charlottetown, collaborating remotely with a team of designers and editors in New Hampshire to make Almanac.com, the web version of the publication. While I missed the founding of the Almanac by 174 years, I was there for the birth of Almanac.com, and have helped nurture it along ever since. As you might imagine, it takes an interesting cast of characters to make a publication as storied as The Old Farmer’s Almanac, and beyond the technical challenges of keeping one of the continent’s busiest websites humming (with almost 50 million visitors in 2015), my work remains interesting because of those people and the ramshackle collection of buildings they call their working home. 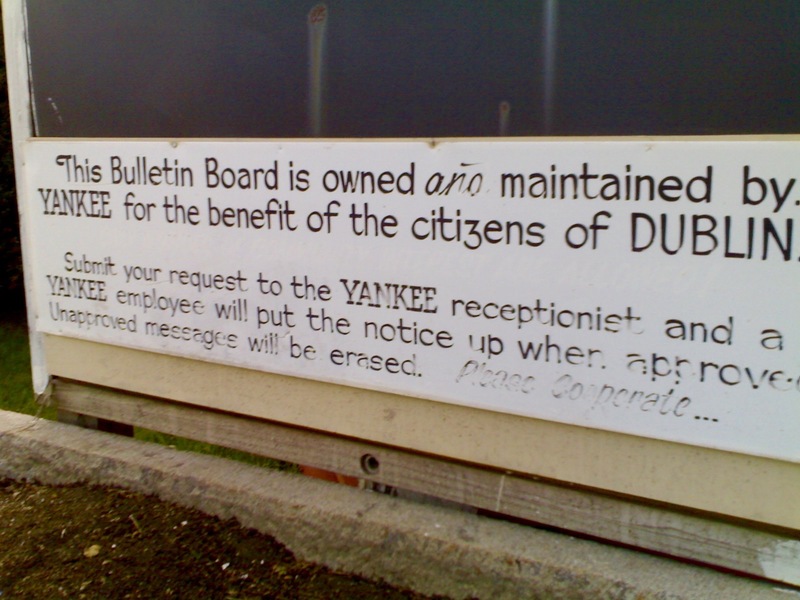 Yankee Publishing is right in the middle of Dublin, population 1,597. 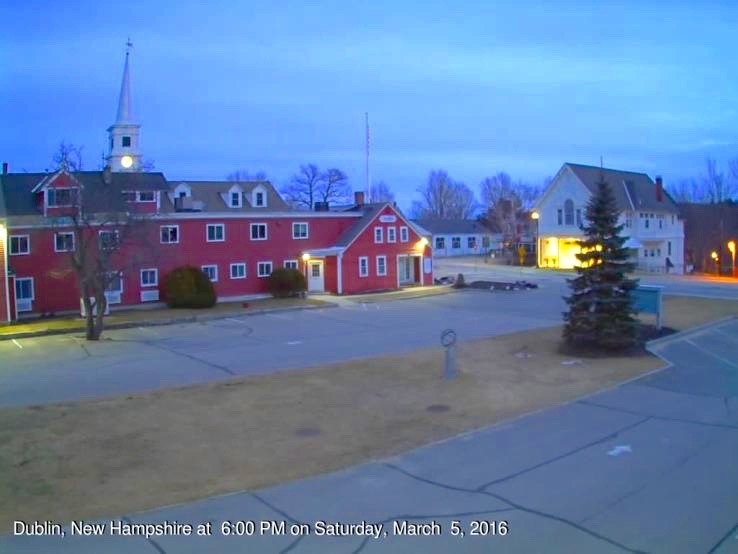 You can see Yankee yourself, 24 hours a day, 7 days a week, on the Almanac Webcam, online at almanac.com/webcam. Right across the road is Dublin Town Hall; up the hill in the other direction is the Dublin School, a private prep school founded in 1935, the same year as Yankee. Down the road a bit is the Dublin General Store – an excellent place to pick up a sandwich for lunch – and up the road and around a bend or two is Dublin Lake, surrounded by the homes of summer residents from across New England. Yankee’s headquarters have evolved over the years as the company has grown, and as you walk the hallways you pass through various buildings that have been joined together, from an old house at the front – I’ve been in the basement and seen its ancient foundation – through more modern additions as you walk back through the company’s offices. On the northeast corner of the main building – named the Sagendorph Building for Robb Sagendorph, the company’s founder – is a chalk board inscribed “This Bulletin Board is owned and maintained by YANKEE for the benefit of the citizens of DUBLIN.” On the board you’ll find notices about deaths in the village, about church suppers, and about the annual community gathering down the hill at Yankee Field. While I’ve been a “telecommuter” to Yankee for 20 years, an important part of my relationship with the company has been travel to Dublin three or four times a year, something I’ve been doing since the very beginning. Telecommuting is great, and with tools like email and Skype, it’s almost like “being there.” But you can’t have lunch over Skype, and it’s hard to get to know people by email. So my regular visits are an important way of connecting us. 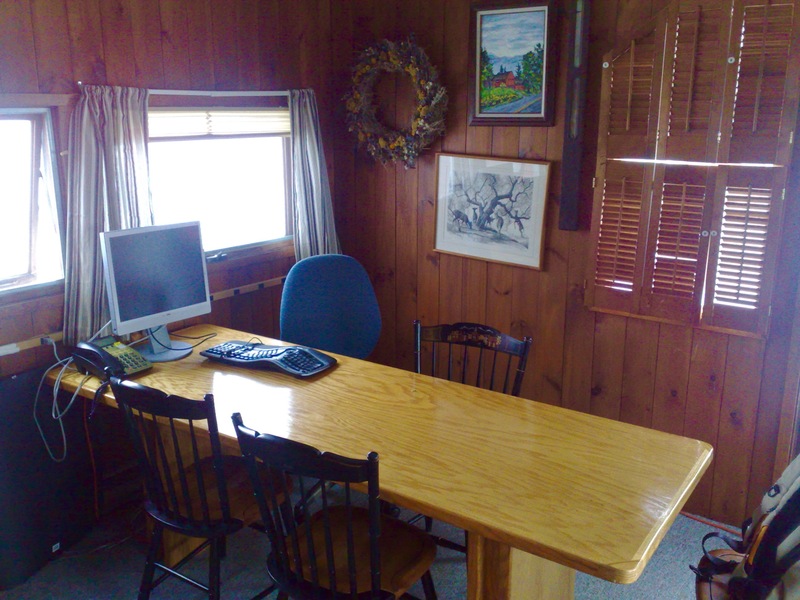 One of the characteristics of the company is the strong “Yankee” sense of self-reliance: if there’s a need for a desk or table in an office, the Yankee sensibility is to find someone to build a desk or a table. The idea of simply ordering one from a catalogue isn’t in the Yankee DNA. That makes for a lot of wonderful desks and tables that will last lifetimes. True to form, my part-time office, in the “crow’s nest” on the third floor, has a hand-built table that’s built like a tank. And contrasting the modern computer and monitor on the table is a room filled with everything from a decades-old barometer to a wreath of unknown origin that’s been hanging on the wall for as long as I’ve been there. More than anyone else John understood how important the sheer improbability of Yankee is to the success of the enterprise. He was able to simultaneously understand that it made no sense at all to run a national publication with a circulation of 4 million from a rambling campus of cobbled-together old buildings in rural New Hampshire and also to celebrate that very fact as being integral to the spirit of the place. While more a polymath than an eccentric himself, John certainly appreciated the eccentricities of others (a good quality to have working at Yankee, of necessity a company made up almost entirely of eccentrics — how else do you find staff equally skilled in begonia planting schedules and the position of the Moon in the astrological zodiac?). That spirit of eccentric improbability, one that John understood so well, oozes from the walls of Yankee: the editors and designers that toil diligently over each year’s edition of The Old Farmer’s Almanac take the charge of its founder, Robert B. Thomas, to be “useful with a pleasant degree of humour” very seriously. And they are the perfect lot for this task: the editors know more about the sun, the Moon and the stars, about the weather and how to predict it, about cooking and gardening, about the best time to wean a calf and the best day to cut your hair, than you can possibly imagine; the designers are well-versed in using modern technology while, at the same time, preserving the visual spirit of the Almanac. They are a fascinating group of people to work with. The beating heart of the Almanac itself can be found on the second floor of the Sagendorph Building in the library around which the editors’ offices are arranged. 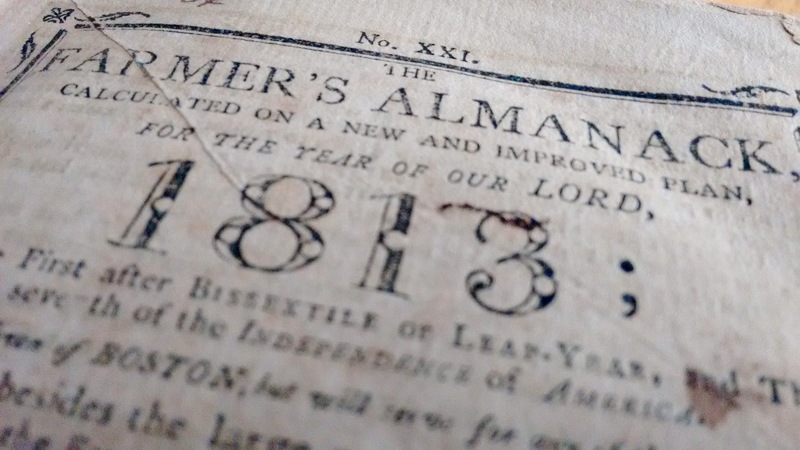 On the shelves of that library are a complete set of editions of The Old Farmer’s Almanac back to 1792, there for both practical reference, for inspiration, and to reinforce the duty we all have to the publication’s history. One summer night last July, after everyone else had gone home, I went down to the library and pulled the bound volumes off the shelf. What things to hold: hand set in metal type, printed on a letterpress, and, in 1792, yet to gain the “Old” in the title for another 56 years. But yet at the same time as being relics of the past, these early editions bear many similarities to the Almanac that I spend my working life helping to craft: they are, indeed, “useful with a pleasant degree of humour”; and in their pages you’ll find the same guide to the rhythms that you’ll find in the pages – digital and printed – of today’s editions. If you do the math you’ll realize that 2017 minus 1792 is 225 and so next year’s edition of The Old Farmer’s Almanac will be the 225th. To mark this occasion there’s much work happening now to refresh the pages – on a visit to Dublin in February I saw some of this work, and it is stunning. When you see the 2017 Almanac on the newsstand this fall – it goes on sale in early September – it will look like the book you remember, yes, but with a renewed sense of its past. I’m looking forward to it. It may seem an unusual thing to work for a centuries-old publication from 630 miles away and in another country. But you don’t get to be 225 years old without knowing how to evolve with the times, and, after two decades of working with The Old Farmer’s Almanac from here in Prince Edward Island, it seems like the most natural thing in the world to me. One of the tools I built early-on in the development of Almanac.com was a tide predictions calculator – you can see it online at almanac.com/astronomy/tides. As part of testing the tool, I pulled a reproduction of a 100-year-old edition off my shelf – reproductions of the 100 and 200 year-old editions are issued each year – and compared the tides for Boston, MA listed there with the tides that the new online tool reported. They were accurate to within a minute of each other, reinforcing that while so much of life is unpredictable and topsy-turvy, the cycles of the natural world have an unceasing rhythm to them: making those rhythms more accessible and more obvious is a pleasant, fulfilling task, and one I hope to keep at for years to come. If you happen to be passing through Dublin, NH – it’s on Route 101 between Nashua and Keene – be sure to stop in and say hello. Give a knock on the front door and Linda, the unceasingly helpful and pleasant receptionist, will welcome you in, and you’ll be able to pick up a copy of the latest Almanac, get updated on the weather, and get a sense, in a small way, of the joys I’ve experienced having Robert B. Thomas’s yearly guide at the centre of my work life.